Once referred to as an “Emperor of Eyeglasses” and a “Czar of Contact Lenses,” Detroit Optometric Centers (D.O.C.) founder Dr. Donald L. Golden passed away July 30 at the age of 99 – two months shy of his 100th birthday. Known for his business acumen and entrepreneurial spirit, Golden was the one of the first (if not the first) doctors to leverage newspaper, radio, and television advertising to build his business as a young optometrist in the 1940s in Detroit. “He was often shunned by his optometrist peers because he was an ‘advertising doctor,’” says Richard S. Golden, one of his three sons. “Back in the late 1940s doctors seldom, if ever, used advertising as a medium to promote themselves. There was a lot of pressure on him, both legally and professionally, to stop. When Dr. Golden opened his first optometry office in 1946 in the First National Building in downtown Detroit, contact lenses were a new concept — one he believed strongly in. As a result, he was a champion of the innovation and became a contact lens specialist. In time, he opened a contact lens specialty office in midtown Manhattan and sought out and formed a relationship with A. Mueller Welt, a renowned German scientist with a unique and superior contact lens, further enhancing the operation. Working together on research and development, they opened a contact lens laboratory in New York City and began manufacturing new and improved contact lenses, selling them to hundreds of optometric practices across the nation. Subsequently, Golden changed his merchandising from a contact lens specialty in office buildings to a ground floor optometric center doing both eyeglasses and contacts, changing the name of the company to Detroit Optometric Centers. He sensed the public was willing to accept a retail setting for eye care products and services. The growth of D.O.C was a family affair. Golden’s wife of 61 years, Norma, known as a fashion icon, was instrumental in building D.O.C into the powerhouse fashion optical chain it became. “No one was really seeking out high end designers for optical stores, but my mother had such a keen sense of style, that it made sense for her to do the buying. Our customers came to know D.O.C as the fashion destination for designer eyewear,” says Richard Golden. While Dr. Golden and his wife laid the groundwork, their three sons, Michael, Richard, and Randal joined the business. Along with his grandson, Seth, the family built the company into the sixth largest optical chain in the United States at the time of its sale in 2007. A beacon of style, the “Doc” as he was affectionately called, was always impeccably dressed in his extensive wardrobe of hand tailored custom suits made of the finest materials. He was almost always the best-dressed person in the room. “Doc was a man of style, vision, and grace who was the kindest, sweetest, and greatest man on earth. His sharp mind and business acumen led him to develop many breakthroughs in the optical field. He will be sorely missed,” says Randal Golden. An avid fan of boxing, Dr. Golden was honored when Gov. Jim Blanchard appointed him to the Michigan Boxing Commission. Golden enjoyed golf and traveling the world and was an avid reader of classical literature and lover of classical music. In his later years, Golden enjoyed going to concerts with his sons and grandchildren to see Bruce Springsteen and the Rolling Stones. “There must have been a seed planted in him at some point, because he went from a pretty serious guy who listened to Bach and read literary classics to having a little piece of rock n’ roll in him late in life,” says Richard Golden. Dr. Golden was philanthropic, supporting Jewish causes, diabetes, cancer, and other important community needs. 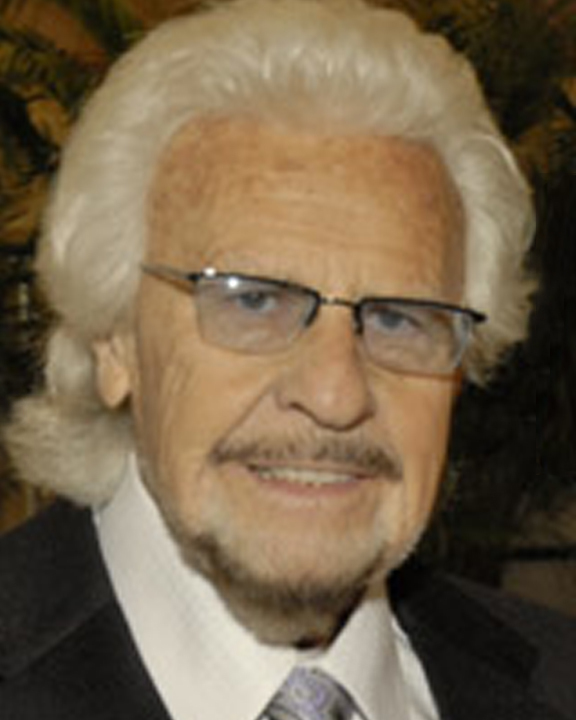 For many years he partnered with school systems in Wayne, Oakland, and Macomb counties to award three underprivileged graduating high school seniors the Donald L. Golden scholarship, which paid for their college tuition. Golden is preceded in death by his wife of 61 years, Norma, and is survived by his wife, Marion, and her children, Danny Bloomfield and Tania Bloomfield; sons and daughters-in-law Michael “Mickey” Golden, Richard and Shelley, Randal and Tracey Golden; grandchildren Bradley (Diana) Golden, Seth (Hilary) Golden, Jessica (Nici Maruri) Golden, Jaclyn Golden, Jaynee Golden and Jenna Golden, and great-grandchildren Claudia and Miles Golden, Gabriella, Giuliana and Gemma Golden. He was the brother of the late Dorothy (the late Irving) Chaiken, brother of Florence (the late Jack) Posar and son of the late Philip and Ethel Golden.